Resources.Load() is the way to load ‘baked’ data (ie data that was shipped with Unity at compile-time). This is done via strings. Messy, messy strings. And what format are these strings? This path value is surprisingly easy to get wrong! You can forget a folder, you can misspell the name, etc. 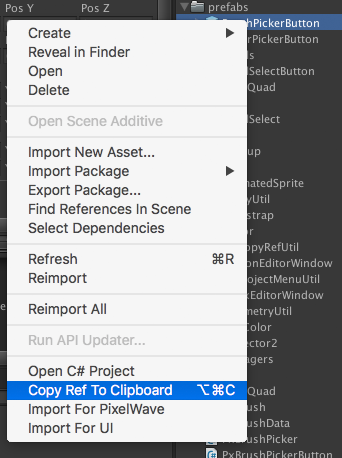 So here is a simple script that you can use to copy the correct value to the clipboard with right-click or with cmd-alt-c. You can then paste this value into whatever you need, and not worry about it again! Enjoy.